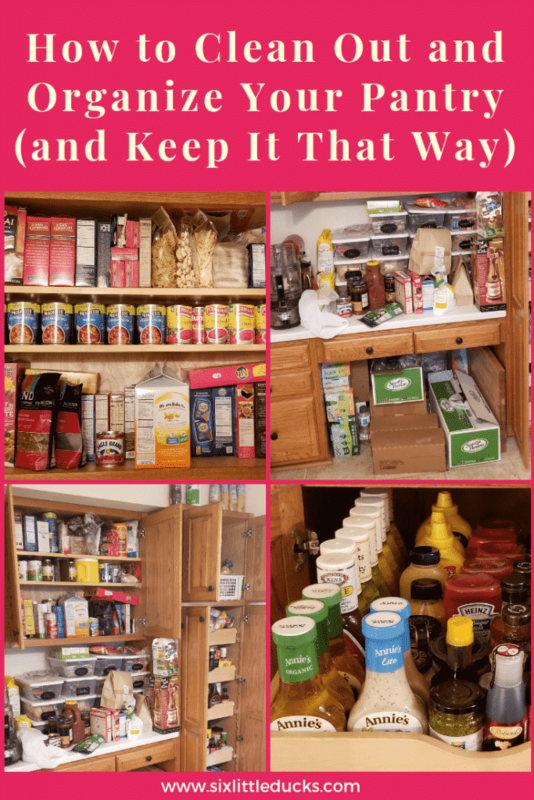 Every few months or so I try to clean out my pantry and food cupboards and re-organize everything. I find that in order to continue to be successful at weight loss, I need to minimize chaos as much as possible. 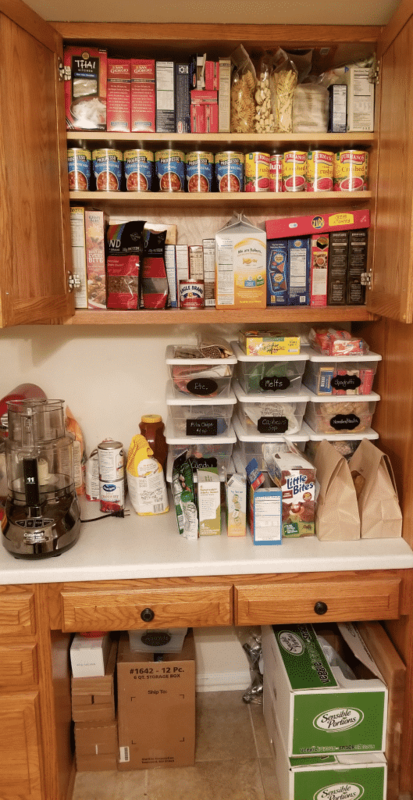 My pantry gets disorganized easily and I'm never sure what exactly I have. I get frustrated because everything is such a mess that I end up eating things that don't fit into my plan. I also end up with 14 containers of salad dressing, or other such condiments. My pantry is not a true pantry. It's the desk/cupboards/bar/semi-pantry of the 90s. When we bought our house we said it will definitely be renovated but for now, we're making it work. I've made the desk space into storage by using plastic containers, chalkboard stickers I can write on and erase, and chalk markers. I also use that space to store appliances I use frequently but don't have space for on the kitchen counters. The KitchenAid mixer, the Cuisinart Food Processor, and the SodaStream. Canned tomato products, e.g. Crushed, Diced, Sauce, Paste, etc. 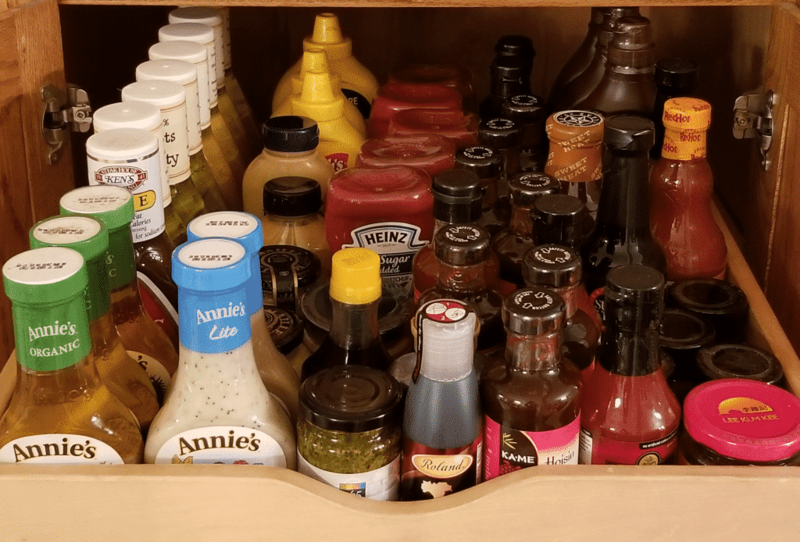 Condiments – grouped my type, e.g. ketchup, mustards, salad dressings, etc. Baking items such as flour, baking soda, sugar, brown sugar, Panko, bread crumbs, etc. I then decide what group will go where in the cabinets. I try to put items that we use frequently on the most conveniently located and most visible shelves. Things we don't use often are put on lower or higher shelves. I try to come up with a placement plan that provides the best accessibility and visibility. My biggest frustration with my pantry is not knowing what I have because I can't see everything. By organizing everything in such a way that makes it all more visible, I can cut down my frustration levels. I am a big fan of taking inventories of what I have in my kitchen. I wrote about a similar inventory exercise I did in How to Organize and Inventory a Spice Cupboard. The inventory I took of my spice cupboard has really helped me know what I have, know what I need, and keep the cabinet in tip-top shape. Every time I clean out the pantry area I find surprises. I tend to buy a lot of the same thing over and over thinking we're running out and need more. The “popular” products during this clean out were: ketchup, soup, hoisin sauce, salad dressing, and mustards. Previous times it's been soy sauce, tomato products, and pastas. The nice thing about doing these periodic clean outs is finding out exactly what I have so I can avoid buying more of things I already have. While I'm cleaning out the pantry I keep a list of everything I have. I love to keep a running inventory to make grocery shopping more efficient and also not waste money buying things I don't need. Having an inventory allows for much easier grocery shopping prep. It also helps avoid impulse buys when at the store. The other challenge I give myself after a good pantry clean out is to figure out ways to use what I already have. I'll always buy produce and perishables on a regular basis. The challenge is to find recipes that best incorporate existing inventory. I have huge collections of recipes on Pinterest that I reference all the time. Once I know what I have and need to use, I just search my recipe collections for something that matches up. Keeping my pantry organized and correctly stocked is a never-ending project for me. It is the one are of the house that seems to get disorganized the quickest. By coming up with a regular schedule for cleaning it out, re-organizing things, and updating my inventory I'm able to keep on top of it. 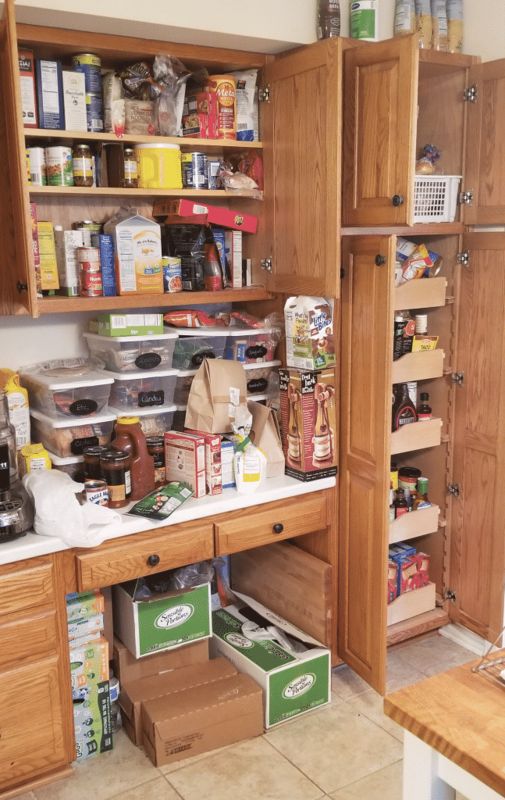 What steps do you take to organize your own pantry or kitchen cabinets? Leave a note in the comments sharing what you do to stay organized!